Welcome to Marietta Middle School! Our school serves grades six through eight, preparing students for high school both academically and socially. Go, Marietta Indians! Over the summer, our teachers came up with a school motto. “Together We Achieve!” It means we are all stronger together and more successful when we work together. In different ways, we can use it for any situation. Whether it is family, sports, or school, it applies it some way, which is pretty neat. 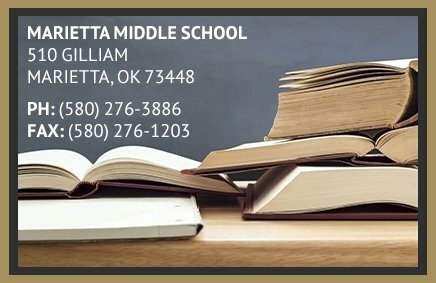 On behalf of the faculty, staff, and students, I would like to take this opportunity to introduce myself and welcome you to Marietta Middle School! 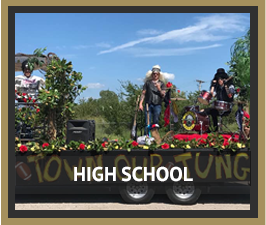 As you will quickly see, we are extremely proud of our school. 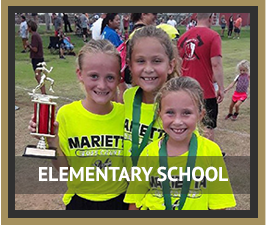 From its energetic teaching faculty to our terrific support staff and dedicated students, Marietta Middle School truly is a wonderful collection of people committed to educational success. 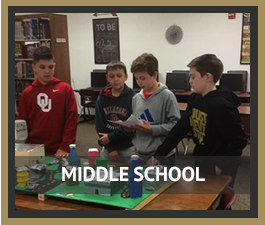 As evidenced by our increasing OCCT scores, recent recognition as a Reward School, and supportive community partnerships, Marietta Middle School is quickly becoming the local pace-setter. We welcome you to contact us with any additional inquiries. Our intent is to meet and exceed all expectations. As we continue to move forward, our only request is that you join us in making a positive difference in the lives of our students. On a personal level, I would like to make myself available to assist in any capacity. My goal is to work closely with students, staff, and community to ensure the best possible outcome.